(Los Angeles, CA, October 20, 2016) Neil “Spyder James” Giraldo, producer, musician, legendary guitarist, songwriter, and producer of Grammy nominated and winning hits for multiple artists including Pat Benatar,John Waite,Del-Lords,Rick Springfield and many others,and proud hometown Cleveland boy, has recorded an original song for underdogs everywhere. He includes his beloved Cleveland Indians, also known as the “Tribe”, which have just won the American League Championship and are headed to the world series. Inspired by the city’s resurgence, Giraldo reunites with fellow band mates from the local 70’s band “Thrills And Company” (TAC) to record “Liftin’ The Curse Of The Rock”. Another aspect of the story behind the song, is about how childhood friends remain close. While Giraldo went on to national and international success, the “Thrills And Company” band mates continued to live and work in Cleveland as local musicians. Giraldo and TAC band members, Frank Amato, Gary Jones and Rod Psyka have remained friends for the past 40 years. 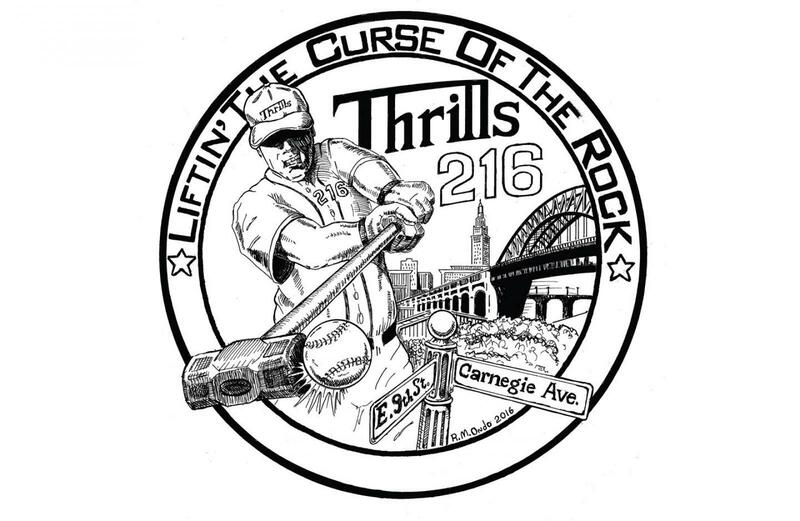 “Liftin’ The Curse of the Rock”, written by Giraldo,Jones and Amato, references the historic and devastating trade in 1960, of Cleveland Indian, Italian-American icon, Rocky Colavito. Colavito was traded to the Detroit Tigers and the Cleveland fans believe that a subsequent “curse” was put on the team, supposedly preventing the Cleveland Indians from ever winning the World Series. The Indians have not won a world series since 1948. Giraldo and the guys are “thrilled” at the prospect that this could be the year the curse will be lifted and want to rally the fans with this song. The song is now available on ITunes, and a portion of proceeds will be donated to Cleveland area non profit organizations.